Lieutenant Andy Lowrie with the Polk County Sheriff's Office loads Billy Wayne Munson, of Livingston, into a unit to be taken to jail. Deputy Stops to Assist Vehicle, Arrests Occupants, LIVINGSTON, December 26, 2014 - At approximately 11:45 pm on December 24, 2014, Lieutenant Andy Lowrie with the Polk County Sheriff's Office Narcotics Division was patrolling on FM-3126 near Longhorn drive when he spotted a gray Ford F-150 pulled off the road sitting without the engine running. Lowrie stopped his unit and approached. According to Lowrie, he was stopping to see if he could help. When he approached the vehicle, the driver, Billy Wayne Munson, 37, of Livingston, and his passenger, Sophia Yancey Schaffer, 28, of Splendora, attempted to flee. Lowrie ordered the two to stay in the vehicle and summoned another unit. Captain John Sanders and another deputy showed up to assist Lowrie. A vehicle search turned up approximately 4 grams of methamphetamine, with baggies and scales. Both Munson and Schaffer were charged with manufacture and delivery of a controlled substance (felony). 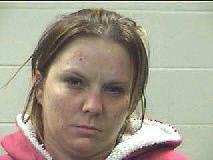 Additionally, Munson and Schaffer both had warrants out for their arrest. 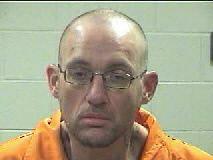 Billy Wayne Munson was arrested in 2012 on drug charges. In August of this year, Munson was in an accident with an 18 wheeler. Pulled to the side of the road, late at night, with about 4 grams of meth, scales, and baggies.